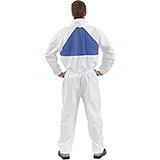 These low cost white coveralls have been manufactured from non-woven polypropylene and have a zipped front fastening, with elasticated wrists, ankles, waist and hood. Rapid dispatch and delivery, plus generous quantity discounts, always available. 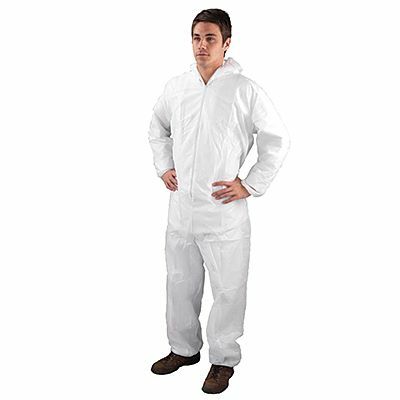 Ideal for all kinds of applications and tasks, including decorating, factory visits, dust and dirt protection, lab work, general industrial handling and farming.